Bloody fantastic ride everyone had a ball! Already thinking about the next ride. Nha Trang was pretty loose, not got the feel of Hanoi though. The diving wasn't as bad as I though it'd be, saw some critters & even a turtle. This map you sent over is insane, I'm blown away by it! Thanks a heap for taking the time to set it up & send it over I stoked with it. 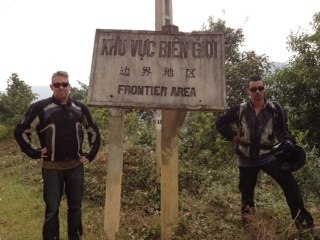 Work is rooted wish I was back in Vietnam, will have a play with the logo's soon & send something over. Enjoy the riding & thanks again!